Vote for the next cube app! Experience a fresh collection of holographic mini-games with Th!ngs for MERGE Cube! Hatch and play with your very own Octopet, navigate treacherous valleys as you battle alien forces, get hypnotized by a kaleidoscope of mesmerizing colors, and hold a campfire in the palm of your hand! Get a taste of upcoming experiences, and cast your vote for the next cube app! 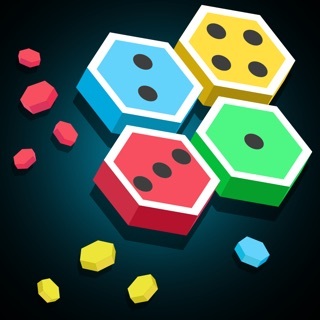 -Rotate the cube and select the mini-game you want to play! TH!NGS now supports Spanish, French, German, Italian and Chinese languages! The activation button requirement without the ability to change the VR headset compatibility so one can use a BT controller is ridiculous. Can't even do anything in VR mode without one, I even tried our BT controller and nothing. Not impressed. This gets patched, I'll update my review. Kinda glad I didn't pay for any of the paid merge cube apps yet. Just got a twitter response from the devs. They are looking into increasing the compatibility, so here’s hoping those of us without touch buttons can enjoy it in VR soon! Great app. Recently got a Merge Cube for Christmas and I downloaded some apps and had fun with it. It's basically a black foam cube and you hold it up to your camera and it turns into different objects. So, yeah, it's fun. Just make more games for this app please I'm getting bored of playing the same games over and over again. Recently got a merge cube as a gift and didn’t understand it, once I installed some apps i figured out it was kinda like ar but holographic which is awesome and this is the game I enjoy the most it is really fun please make more!